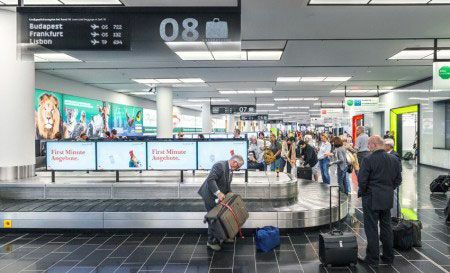 The Flughafen Wien Group reported a passenger volume of over 30 million for the very first time in its history, and Vienna Airport site also exceeded the threshold of 24 million passengers for the first time. The outlook for 2018 is an optimistic one. The Flughafen Wien Group anticipates passenger growth of more than 5% as well as increases in its revenue, EBITDA and net profit. Passenger volume at the Vienna Airport site is expected to exceed 3% in the year 2018. “2017 was a record year for Vienna Airport featuring new all-time highs for the number of passengers it handled in the Group and at Vienna Airport site. In particular, the growth drivers were Austrian Airlines, Eurowings and easyJet, and flight service on long-haul routes also developed very favourably. We are also optimistic with respect to 2018, and expect a passenger growth of more than 3% at the Vienna Airport site, with a substantial growth impetus from the Lufthansa Group and the low-cost segment, for example from new carriers such as Wizz Air, which will launch flight service from Vienna with three aircraft and 17 destinations. One downside is the development at airberlin and NIKI. Nevertheless, we hope that there will soon be legal certainty for a viable solution for the company and its employees”, explains Julian Jäger, Member of the Management Board of Flughafen Wien AG. “In spite of turbulences in the airline sector, we will report a higher net profit for both 2017 and 2018. The net profit guidance for the year 2018 is in excess of € 132 million. The signs point to growth. Thanks to the establishment of new business locations and expansion projects, more than 1,000 new jobs will be created at Vienna Airport in 2018. DHL and cargo partner are opening their logistics facilities in the Vienna Airport Region. In spring we will already initiate our search for potential business partners for another hotel at the airport site. On balance, we will invest more than € 175 million in the Vienna Airport site this year”, states Günther Ofner, Member of the Management Board of Flughafen Wien AG. The Flughafen Wien Group (Vienna Airport and the foreign strategic investments in Malta Airport and Kosice Airport) reported a total of 30.9 million passengers in the year 2017, comprising a year-on-year increase of 6.9%. Vienna Airport handled 24,392,805 passengers in 2017, comprising a rise of 4.5% from the previous year. In particular, long-haul routes had a positive impact on the airport’s performance, as well as new flight connections and frequency increases on the part of the airlines. In contrast, developments relating to airberlin and NIKI negatively affected airport operations, but was more than compensated by the growth generated by Austrian Airlines, Eurowings and easyJet. The number of transfer passengers developed positively (+4.4%) as did local flight traffic (+4.5%). The number of flight movements (starts and landings) remained largely stable at minus 0.8%, and capacity utilisation of the aircraft (seat load factor) rose by 1.3 percentage points to 74.8%. Cargo volume developed positively in the course of the year, climbing by 1.9% to 287,962 tonnes. The number of passengers departing for Western European destinations increased by 3.0% in 2017. Passenger traffic to Eastern Europe recorded strong growth of 9.4%. The number of passengers flying to the Far East climbed by 9.0%, compared to a 2.3% increase in passenger traffic to the Middle East. In contrast, passenger volume to North America declined by 2.9%, whereas the number of passengers flying to destinations in Africa was up 37.0% from the prior-year level. The highest number of passengers flying to any single destination was registered by London with 602,134 departing passengers, followed by Frankfurt with 597,923 travellers flying from Vienna Airport and Zurich with 496,935 passengers. Moscow was the most popular destination in Eastern Europe, attracting a total of 280,974 passengers, ahead of Bucharest with 204,539 departing passengers and Sofia with 158,436 travellers. Dubai was the top destination in the Middle East with 230,229 passengers, followed by Tel Aviv with 172,738 passengers leaving Vienna and Doha with 89,062 passengers. Bangkok was the most popular long-haul route, attracting 123,689 passengers, followed by Taipei with 78,763 and Beijing with 72,611 passengers respectively. In the ranking of airlines as measured by their share of overall passenger volume, Austrian Airlines was in the number one position with a share of 48.4%, followed by Eurowings (and Germanwings) with 9.3%, Lufthansa with 3.7%, the easyJet Group with 3.3%, airberlin with 3.3% and NIKI with a share of 2.5%. The top ten airlines at Vienna Airport in 2017 also included Turkish Airlines, accounting for a 2.1% share of total passenger volume, along with British Airways, Emirates and SWISS, each with 1.9% of passenger traffic. In 2017, Vienna Airport was regularly served by 74 airlines, offering flight service to 195 destinations in 70 countries. The cargo business at Vienna Airport developed positively in 2017, reporting a total cargo volume (air cargo and trucking) of 287,962 tonnes, a rise of 1.9% from the previous year. Air cargo alone was up 1.9% to 206,918 tonnes, whereas trucking increased by 1.7% to 81,044 tonnes. Malta Airport reported record traffic results in the year 2017, handling a total of 6,014,548 passengers, a rise of 17.5% compared to 2016. Kosice Airport registered a passenger volume of 494,640 travellers in 2017, comprising a year-on-year increase of 13.8%. The Flughafen Wien Group including its strategic investments in Malta Airport and Kosice Airport expects an increase of passenger volume of more than 5% in 2018. Accordingly, revenue is anticipated to rise to more than € 755 million, and an EBITDA of more than € 325 million is being targeted for 2018. From today’s perspective, the consolidated net profit after tax should amount to at least € 132 million. Flughafen Wien AG plans to further reduce its net debt to a level below € 300 million and make investments of about € 175 million in the year 2018. The Vienna Airport site expects passenger growth to exceed 3% in the year 2018. From today’s perspective, initial impetus to growth is likely to be provided by the launch of flight service to the destinations of Cape Town (ZAF) and Tokyo (JPN) by Austrian Airlines, the 17 destinations to be served by Wizz Air, the flights to twelve destinations offered by Eurowings as well as new routes and expanded frequencies on the part of Air Malta, easyJet, Volotea and Vueling. Retroactive adjustment of comparative figures for 2016 and transit volumes in Kosice.